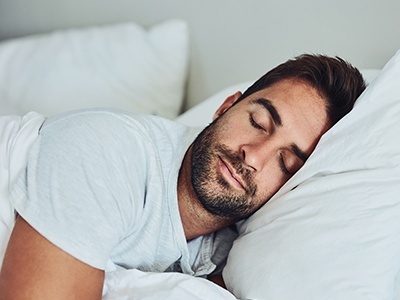 Aside from exercising and eating the right foods to keep our bodies healthy, sleeping is the OTHER single-most important practice we need to implement. In fact, sleep just might surpass both diet and exercise! Not to say the former two aren’t significant… but just another way to be mindful of making sure we practice all 3 of these rituals in order to live a long, healthy life. Getting good quality sleep (at least 7-8 hours) is so imperative for emotional, mental, and physical health and well-being. Sleep helps with brain function: helping us learn, focus, and retain information better. It also helps decrease our risk for heart disease, stroke, diabetes, high blood pressure, obesity, etc. Sleep helps maintain hormone balance, affects our response to insulin, supports growth and development, and also boosts our immunity. Bananas – high in potassium, which keeps us asleep; also contains tryptophan and magnesium, which are natural sedatives. Also amazing at reducing muscle cramps, thus helping our bodies to relax upon sleeping. Whole grains – encourages insulin production which is linked to tryptophan activity in the brain to help us become less likely to wake up. Honey – glucose in honey reduces the hormone orexin, which makes us become more alert. Honey keeps us calm. Great to put in tea. Fish – vitamin B6 is abundant in fish like tuna and salmon. Vitamin B6 is what creates melatonin… normally triggered by being in the dark, so having a piece of fish for dinner starts the process soon before the sun goes down! Nuts – walnuts/almonds and different variations of seeds (pumpkin, flax, chia, sunflower) all help boost serotonin levels, a sleep-promoting brain chemical. Tea – chamomile is a great example of a tea to consume before bedtime. It contains no caffeine (a stimulant), but instead has antioxidants that bind to receptors in the brain that help reduce insomnia. Goodnight, and see you in the morning!